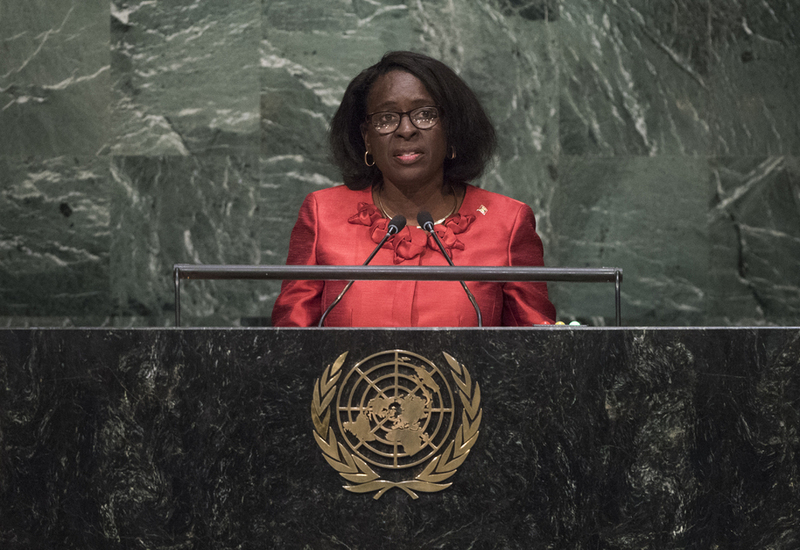 Clarice Modeste-Curwen, Minister for Foreign Affairs of Grenada, said without a successful legally binding agreement at the Climate Change in Paris, the impacts of climate change would continue unabated. Climate change was a major multidimensional security threat to small island developing States, and he urged the international community to commit ahead of the conference to adopting a new agreement that kept the global temperature rise well below 2 degrees Celsius. Immediate consensus on climate change was needed, including on financing. He reaffirmed his country’s commitment to Agenda 21, the 1992 Programme of Action for Sustainable Development, and the SAMOA Pathway — Small Island Developing States Accelerated Modalities of Action — and strongly supported the convening of Triennial Oceans and Seas Global conferences for the duration of the 2030 Agenda for Sustainable Development, beginning with the June 2017 conference in Fiji. He also suggested that the so-called DOCK initiative be used as a global platform for Governments and relevant stakeholders to ensure financing for the full implementation of Sustainable Development Goal 14. On related development issues, he called on the international community to make good on its target of 0.7 per cent official development assistance (ODA), notwithstanding that 0.2 per cent would go to small island developing States like Grenada. He said that the unilateral graduating of many small island developing States to middle-income status was premature and had resulted in significant budgetary shortfalls, and he reiterated the call for a more holistic and comprehensive set of indicators for classifying States. Per capita income as a sole measure without the context of climate vulnerability and other inherent structural challenges did more harm than good. Small island developing States were already disadvantaged by small economies of scale, climate impacts and high indebtedness, and were only seeking a level playing field that took such disadvantages into account. It was disheartening that developed partners with whom they had engaged to build capacity had reverted to suspicious blacklisting. He urged those countries to weigh their interactions with small and vulnerable island States to ensure that the latter group was not victimized economically or in reputation.